The American Board of Pediatrics (ABP) has redesigned its ABP Portfolio homepage, focusing on making relevant information readily available and easily accessible for physicians. The ABP consulted with board-certified pediatricians, who use the site regularly, to ensure it understood obstacles, concerns, and needs of the physicians. As a result, the new homepage includes a more individualized, tailored layout. The American Board of Pediatrics (ABP) has made significant changes to its Maintenance of Certification Program (MOC) over the past several years. Many changes were prompted by diplomates who believe in the benefits of certification and ongoing assessment, and want to help improve the process. The ABP is striving to make the MOC process more efficient and effective for pediatricians who want to provide excellent care for children. MOC provides tools for life-long learning, knowledge assessment, and quality improvement, and documents for the public that pediatricians are staying current and improving their practice. Last week, the Accreditation Council for Graduate Medical Education (ACGME) presented awards to 27 recipients at its Annual Educational Conference, one of the largest gatherings of graduate medical educators in the world. Suzanne K. Woods, MD, has been named Executive Vice President of the American Board of Pediatrics (ABP). Dr. Woods joined the ABP staff on Jan. 1, 2018, as Vice President of Credentialing and Initial Certification. The ABP Board of Directors approved her additional role on Feb. 15. She succeeds Gail A. McGuinness, MD, who retired Dec. 31, 2017. Pediatricians who enroll or re-enroll in Maintenance of Certification (MOC) with the American Board of Pediatrics (ABP) may now choose to break up their fee into annual payments. Alternately, if they prefer, they may choose to pay the full 5-year fee up front when they enroll in a new MOC cycle. “Some board-certified pediatricians have asked for this, and we are pleased to accommodate them while still maintaining the previous method of paying fees” said Virginia Moyer, MD, MPH. Beginning in 2019, thanks to the work of more than 10,000 board-certified pediatrician volunteers, the American Board of Pediatrics (ABP) will offer a new way to fulfill the MOC Part 3 (exam) requirement: the Maintenance of Certification Assessment for Pediatrics, or MOCA-Peds. MOCA-Peds is an online, non-proctored assessment platform. With the help of those pediatrician volunteers, MOCA-Peds was launched as a pilot in January 2017. The pilot will continue as the platform is refined in 2018 before it goes live in 2019. The American Board of Pediatrics (ABP) has selected Elizabeth (Cason) Benton, MD, to receive the 2018 Paul V. Miles (PVM) Fellowship Award, given annually to an accomplished mid-career pediatrician dedicated to improving the quality of health care for children. 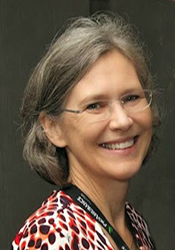 Dr. Benton is an Associate Professor of Pediatrics at the University of Alabama at Birmingham (UAB) and founding Director of the Alabama Child Health Improvement Alliance (ACHIA). The New England Journal of Medicine has published a perspective article featuring the American Board of Pediatrics Vice President, Dr. Carol Carraccio and her colleague, Dr. Deborah E. Powell. The piece outlines the recent evolution of competency-based medical education in pediatric training models and highlights the need for a more flexible training approach and timelines. While the standards of education remain rigorous, the required timeframe in which to train and assess trainees may vary. The authors also stressed the importance of the continuum of education and proper assessment. Patience Leino, Senior Administrator for MOC External Activities at the American Board of Pediatrics (ABP), received a 2017 Partners in Healing Award from the Patients' View Institute (PVI). She received the award, together with the University of North Carolina at Chapel Hill (UNC) Medical Center, on Dec. 7, 2017.